Learn the true meaning of "wild and scenic"
Gold Beach is synonymous with jet boats and is the gateway to the Wild & Scenic portion of the Rogue River. 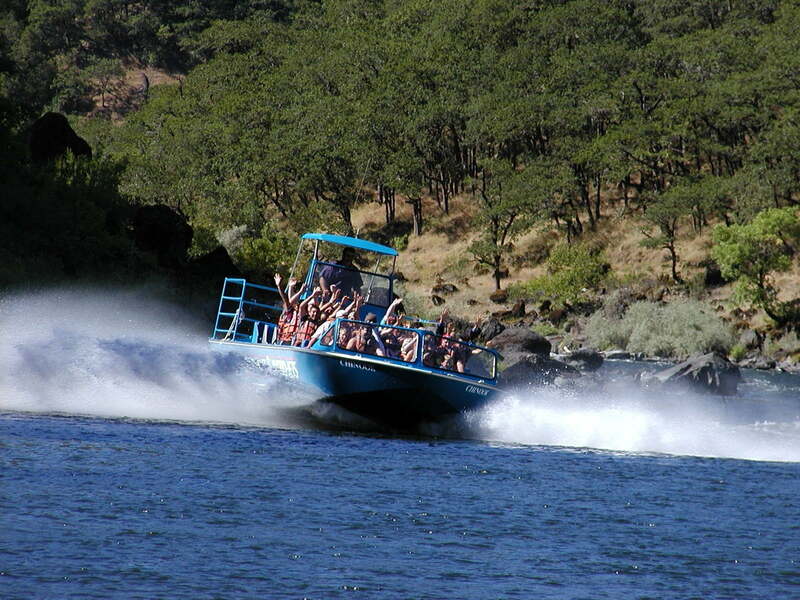 Departing from Gold Beach is the only way to get jet boat access to this pristine “Wild Section.” The trips are considered a must-do during any Gold Beach visit — at least in the months between May and October. The boats run up the Wild and Scenic Rogue River on trips of 64, 80 and 104 round-trip miles, the longer the trip, the wilder the ride–in terms of whitewater and scenery. Excursions include lunch or dinner stopovers at upriver lodges (meal price extra). 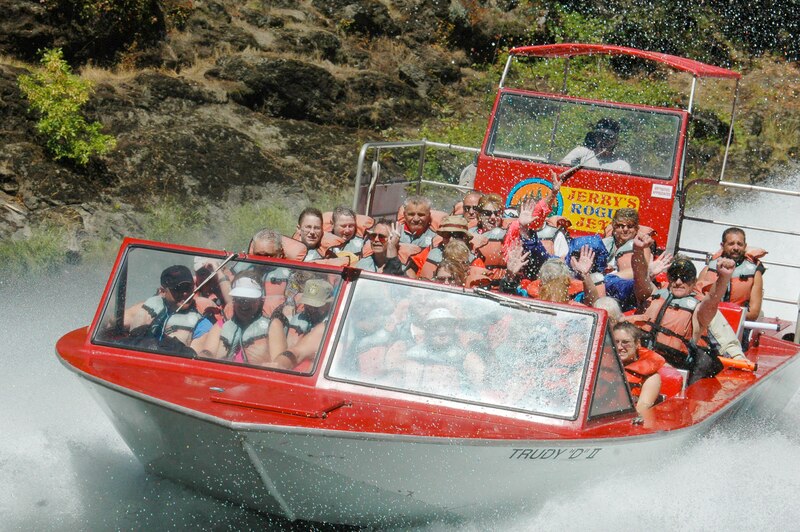 Jet boats are designed specifically for safely navigating strong currents and shallow riffles, so you can relax as trained pilots treat you to tall tales and river lore, incredible scenery and sightings of black bear, river otters, eagles and the rare mountain lion. An adventure with Jerry’s Rogue Jets begins in their museum, where just about anything you need to know about the area’s colorful history is on display in photos, artifacts and dioramas. Then get on board to learn the true meaning of “wild and scenic” from folks who’ve run these trips since 1958. Mail Boat Hydro-Jets is a descendant of the original mail boats that have carried news and parcels from the outside world to settlers upriver since 1895. Mail Boat Hydro-Jets runs trips in open vessels and in the Rogue Queen, a glass-enclosed excursion boat that’s ideal for rainy days and perfect for tour groups and champagne cruises. The Mail Boats merged with Jerry’s in 2010 and both tours are now operated by Jerry’s Rogue Jets located at the Port of Gold Beach. Reservations are highly recommended, though same-day openings are available if you’re lucky. Overnight stays at lodges upriver are another option; check out their websites, above, for details.